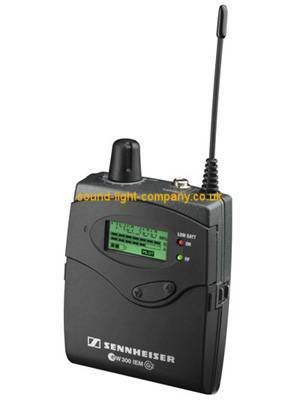 The extremely compact EK 300 IEM G2 monitoring receiver has been designed for rugged live work. It can be operated intuitively and is protected against any accidental change of settings. The receiver comes complete with earphones and skin-friendly ear moulds. The EK 300 IEM G2 is fitted with a special Focus Mode, i.e. it can be switched from stereo reception to double mono, with one channel reserved for the mix and the other one for your own voice/instrument. The level of each channel is set via the balance control. In addition, the receiver features a switchable limiter which keeps the monitoring sound at a safe level.